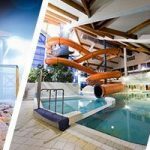 The four-star Aquaticum Debrecen Thermal and Wellness Hotel**** is situated in the first nature conservation area of Hungary , the leisure-time zone area of Debrecen , in the heart of Great Forest of Debrecen. 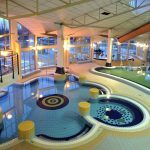 Our hotel is located in Aquaticum Medical and Bathing Centre, where thermal baths, outdoor pools, the indoor Mediterranean Pleasure Baths, a medical department, a wellness island, a Thai massage centre, a dental centre and restaurants offering Hungarian specialties offer complex services to our hotel guests. In our air-conditioned hotel, 56 double rooms and 40 comfortable apartments awaits the guests. Each room features a balcony, bathroom with tub or shower, television, pay-tv, movie channel, WI-FI Internet connection, minibar, room safe, hair-dryer, and bathrobes. We provide bathrobes to our guests for their stay. The needs of guests with disabilities and allergic problems have also been taken into consideration in the design of the hotel, and thus there are special rooms are available to them. Smoking is not allowed by law in the entire area of the Hotel and Aquaticum Medical and Bathing Centre. 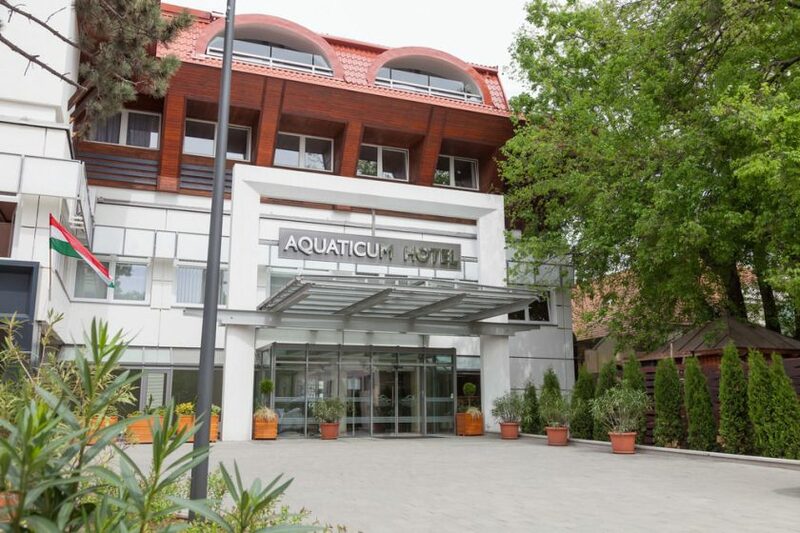 Our Aqua restaurant offers Hungarian and international specialties, reform and dietary dishes. Our drink bar has a rich variety of drinks for our guests. Situated in the heart of the hotel, the Wellness Island offers a complex wellness concept to the guests. Refreshment is guaranteed by some 70 health services and oriental exercise programs. 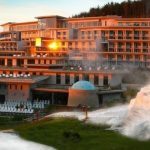 These services include traditional and Far-Eastern massages, soothing wellness baths and treatments, Thalasso treatments. The services of the Wellness Island are smoothly combined with the beneficial effects of medicinal waters, as well as the peace and relaxation provided by the hotel.